As the hype for the automatic vacuums is increasing day by day. We often need to rely on a vacuum that we can recommend to our clients in a few seconds based upon their needs and guess what? We just found our new favorite. It is the most trusted and the most lovable Neato Botvac Vacuum Cleaner. This vacuum could literally be something that you were deep inside longing for but just did not know. It’s great how it performs, the way it cleans, the way it glides over your floor and oh, the beautiful and stylish design. Everything about this vacuum drove us insane. 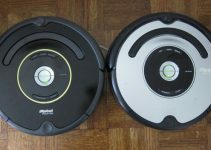 But to prove it to our readers and the people interested in buying this vacuum, we had to prove it by making this guide. Let us tell you more about the Neato Botvac Vacuum Cleaner. The Neato Botvac Connected is one of those vacuums which are very capable robotic vacuums and much cleaner. They take a sophisticated approach when it comes to the entire process of cleaning. The Neato Botvac use an array of sensors to map your floor intelligently instead of just pinballing its way to a clean different floor. It is one of those vacuums which will get a lot of your work done in a very limited amount of time and will surprise with its doing. I mean this vacuum has so much that many others were missing all along. Botvac itself as we know is the smartest, the most powerful, and the versatile solution for automatically cleaning your floors each and every day. It has a system with dual cleaning modes as well as a wide cleaning path. 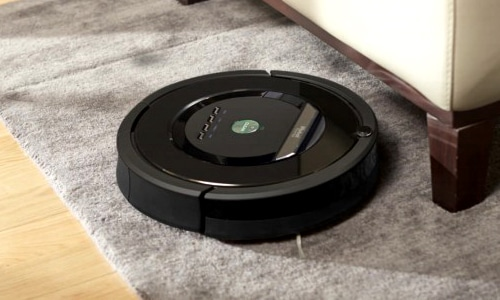 The Botvac Connected can not only smoothly but also efficiently clean floors from room-to-room and recharge automatically then it will again resume its cleaning until the entire floor is cleaned. Luckily and to our surprise, it can work on all the floor types. Now cleaning can be done from the palm of your hand by the app of this amazing vacuum. You can use the Neato app to easily clean your floors anytime you like, from anywhere you like. It is just great for homes which have pets as well as allergies because it not only cleans things out, but it also can make the entire environment clean and more breathable for people with allergies. This vacuum can also work with the all known Amazon Alexa as well as with the Google Home Assistant so you can easily voice control your robot vacuum and get the tasks done as easily and conveniently as possible. The design of this vacuum is as simple as the other vacuums in its range. It is a D shaped vacuum with the curvy edge and circular body to perform all the tasks which are needed from it efficiently. It can easily glide into floors and floors even if they are hard, thanks to the curvy 4 inches tall design which has helped it to do so easily. This vacuum cleaner has a sturdy and easily manageable body which is lightweight so you can carry it around with ease. The bottom is made with high-grade plastic to maintain a good shape and to keep it strong and for the purpose of absorbing shocks as well. We really liked how the Neato Botvac performed when it came to judging the overall performance of this vacuum. Classic, easy, simple and yet so smooth might just be the perfect words we can use for it. This vacuum produced the minimal sound possible for the size it has and can clean so efficiently, especially the harder surfaces and carpets. You can literally leave it without supervision and come back to a cleaner room. It will also pick up the dust in the air for fresh and clean breathing. Plus, the part where it works and goes by charging itself is the best. You can literally give it voice commands to get things done whenever you like. The Neato Botvac is an amazing vacuum which can easily and conveniently perform its tasks orally with Alexa for voice control (Alexa device is sold separately). It can be connected to the Wi-Fi for ultimate control. You can use the Neato app to clean your floors from wherever you are and still be able to receive the notifications on the go. This vacuum has a D shape design with a corner clever technology which allows this vacuum to easily clean close to the walls and into corners as well. This Vacuum has a Long-lasting Li-Ion battery. It also has a Laser Smart mapping and navigation system along with the real-time object detection scanners due to which it can methodically clean, instead of just bumping around from places to places. There are also modes on this vacuum cleaner, The Eco And Turbo mode. The Eco Mode can give you a much longer, quiet energy saving cleaning. The Turbo Mode provides a super-powered cleaning-with maximum picking up of the hair. This vacuum is worth the price but it can be noisy at times. This vacuum may lose its sense of navigation rarely. To have a vacuum with quality this good, in this price range, is something we all want. Especially when it has a good design and such a great power of cleaning things. This vacuum is one of the best ones on the market and many swear by it. With the best care, it can work for years. This was all about the Neato Botvac Connected Review. We hope that you found our guide full of information and it has helped you decide whether to get this vacuum or not. That’s all for this Neato Botvac Connected Review. If you like this aritcle please share it with your friends.